If you are too busy with your life and need to tools to make your work even easier then here we have the best free tools for monitoring devices, ports or protocols and for many more things. Check this list for that. Microsoft Network Monitor is also one of most popular software which helps you to check and analyze your network traffic. This is excellent app if you are facing any problems with your network. This software features over 300 public and Microsoft proprietary protocols, Wireless Monitor Mode and many more. This is the excellent tool to manage your small and large networks. This is completely free to use and it is already used by millions of people worldwide. You can use this software in Windows, Mac, Linux and in many more operating systems. You can easily see your stats of the network from anywhere through this software. You can even download the free trail of this software from here. The Dude is also a popular network monitoring tool which also works in the same manner like other tools. You can get the alerts for issue and to scan you device then it will also draw a map of you network. Nagios is also a sufficient network monitoring tool and helpful for troubleshoot in your applications and system. This will help you to run your system safely and always on. It even alters you for critical things and even for reporting them. This software monitoring tools is very to use where you will have thing called Nagios Core which help you to monitor the services. 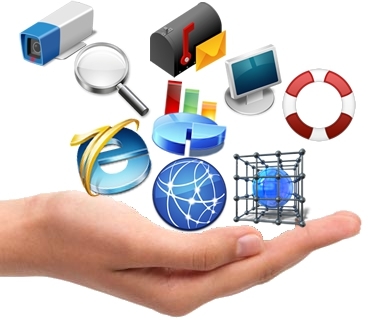 OpenNMS is one of the great services which offer you excellent features. This software monitoring tool offer you features called automated discovery, event and notification management, performance measurement, and service assurance. You can even use this app in your iPhone and iPad where you can use this app to view outages and many more purposes. Advanced IP Scanner is an excellent scanner which helps you to detect the network devices like wireless and hot spots. You can easily connect the services like HTTP and FTP through this network scanner. It’s really easy to use and completely free. Capsa Free is also a network scanner which helps you to manage your network traffic. You can even fix the issues with this tool and do many more things. It offers various feature like supporting 300 network protocols, MSN and Yahoo Messenger filters and many more. Fiddler is a completely different tool which helps you to get the stats of HTTP traffic in between two computers. You can easily find the complete information about the HTTP traffic through this tool and this information use to test the performance of the sites and even for the web applications. Networkminer helps you to scan the network packets in order to extract the files and images. Even it helps you to reconstruct the networks. It is also called as Network Forensic Analysis Tool means it will contain information like hostname, operating system and many more things. Pandora FMS is an excellent network monitoring software which helps you to manage your servers without any issue. It has a special feature which helps you to create alerts and notifies you before an issue occurs.